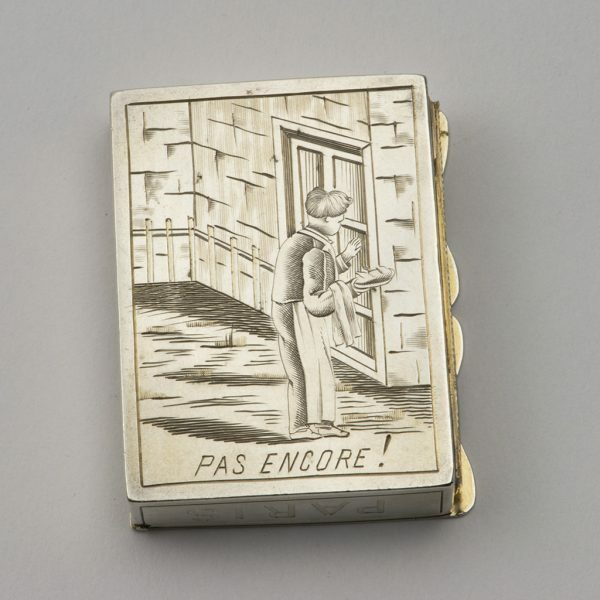 A French silver Vesta Case. The Compagnie Générale des Allumettes Chimiques, the French State Manufactory of Matches was established as a government monopoly in 1872. 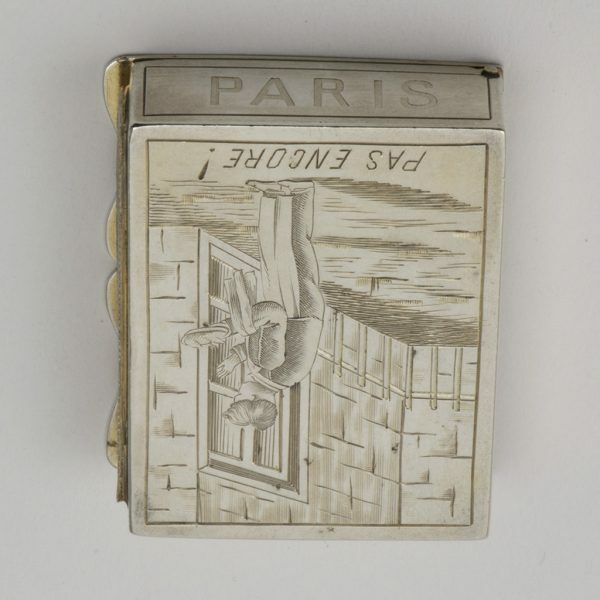 Send Enquiry for A French silver Vesta Case. Good. 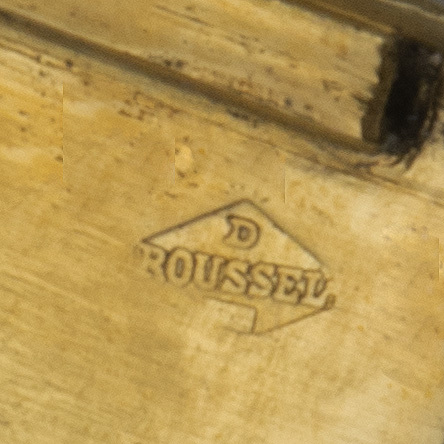 A small area of light surface corrosion on the top right corner of the upper-side. Length – 4.60 cm. ; Width – 3.60 cm. ; Depth – 1.10 cm. ; Weight – 33.40 gms. 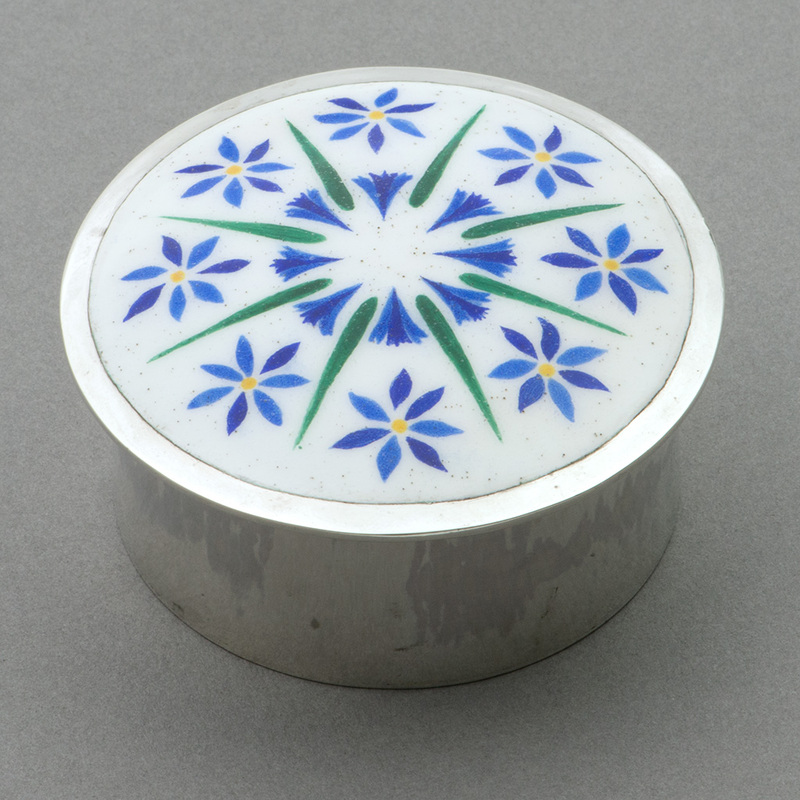 A modern silver Box in the arts and crafts manner. 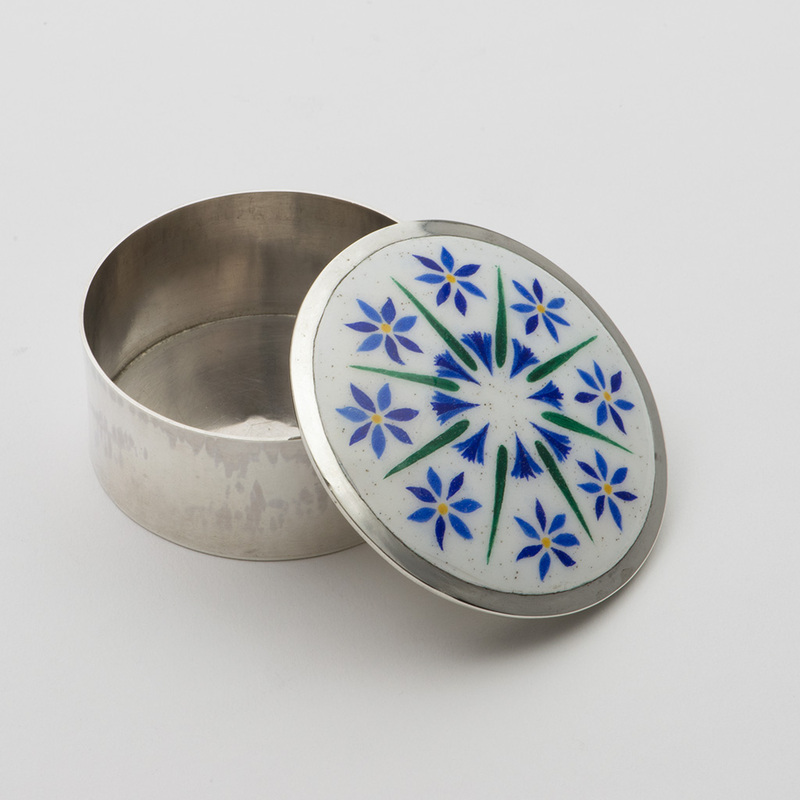 Send Enquiry for A modern silver Box in the arts and crafts manner. 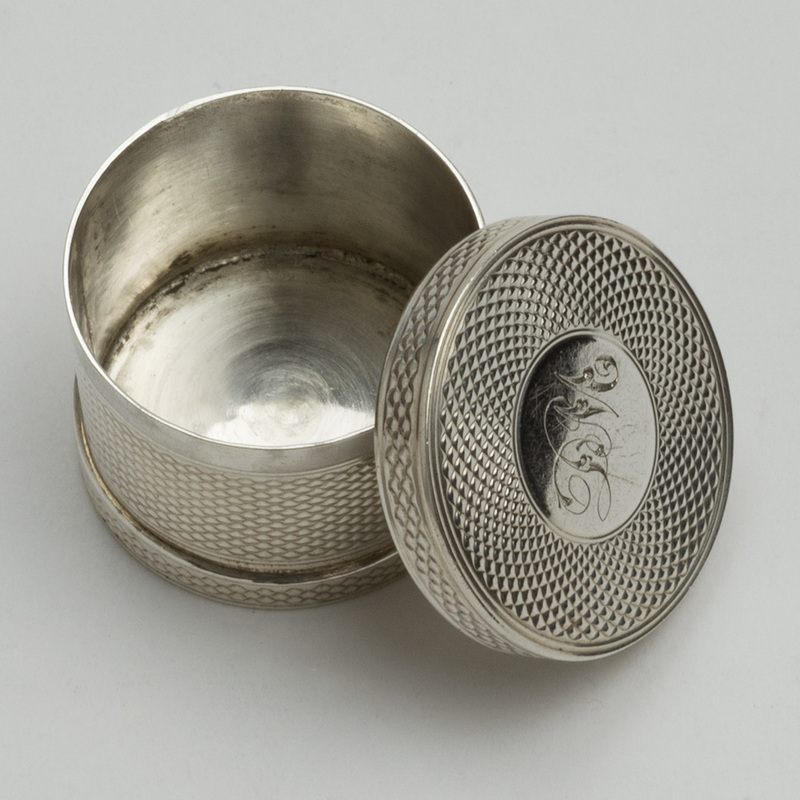 A small Victorian silver Counter Box. 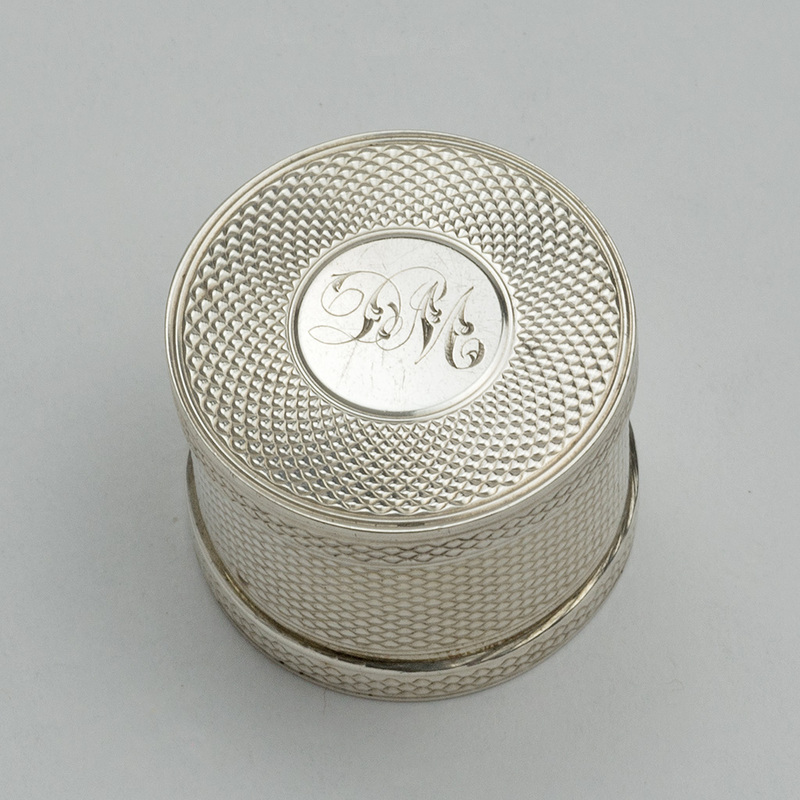 Send Enquiry for A small Victorian silver Counter Box. 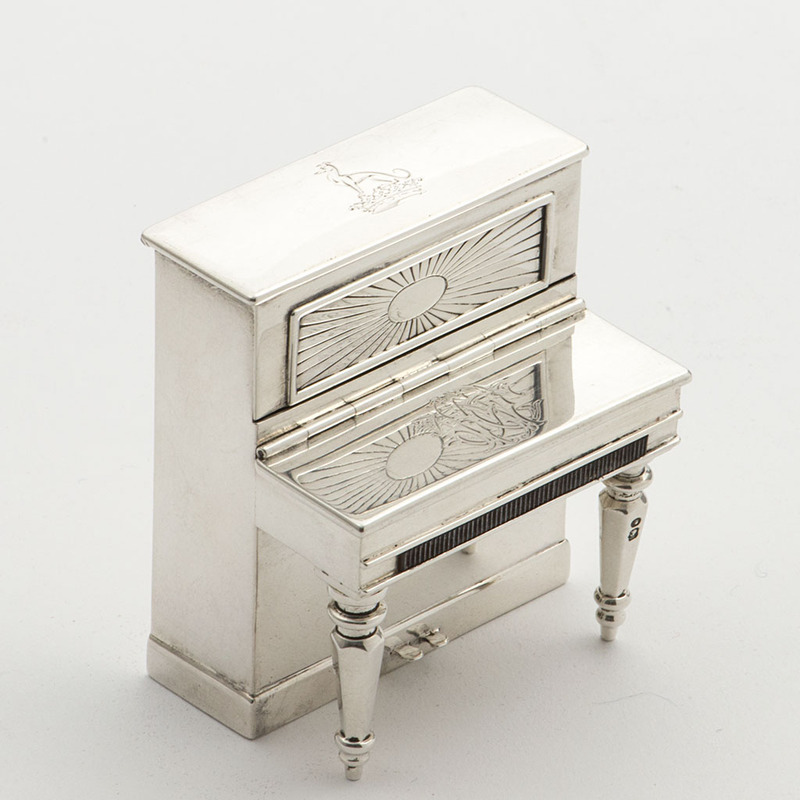 A Victorian novelty silver Match and Cigarette Case formed as a Piano. 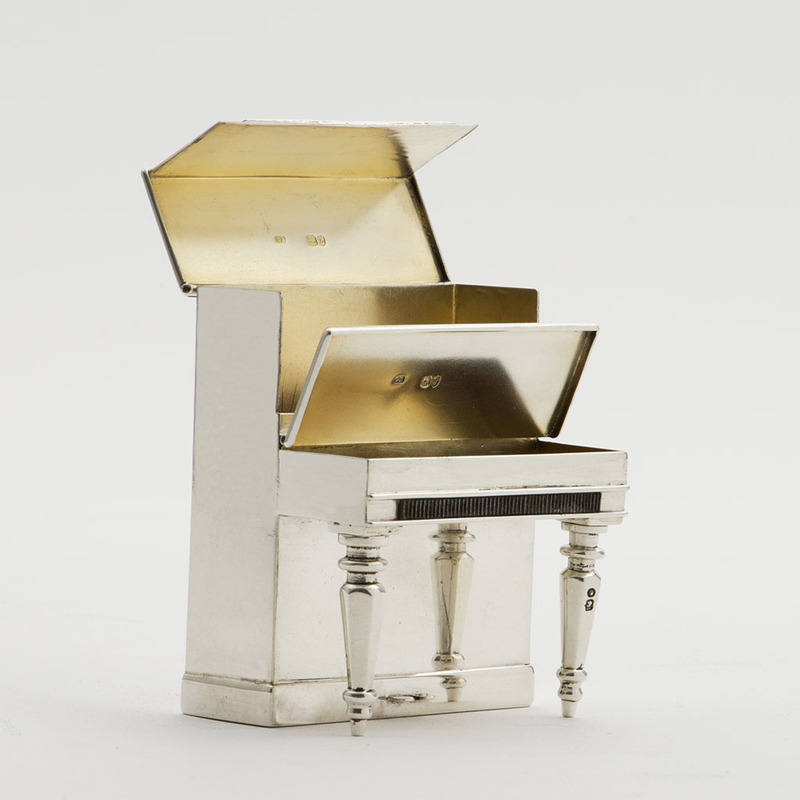 Send Enquiry for A Victorian novelty silver Match and Cigarette Case formed as a Piano. 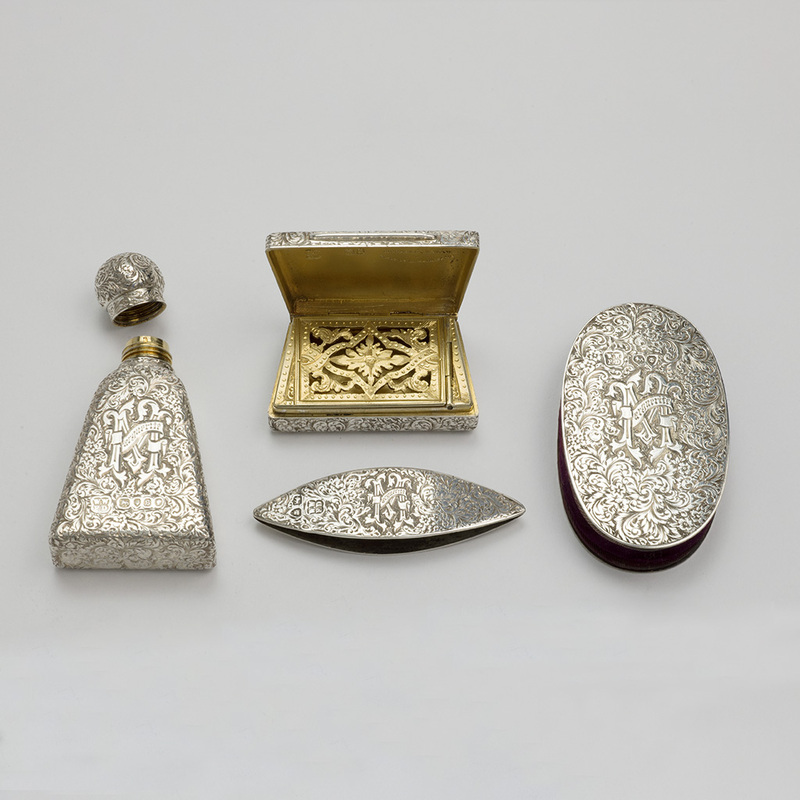 A group of silver pieces for a Victorian Ladies’ Necessaire. 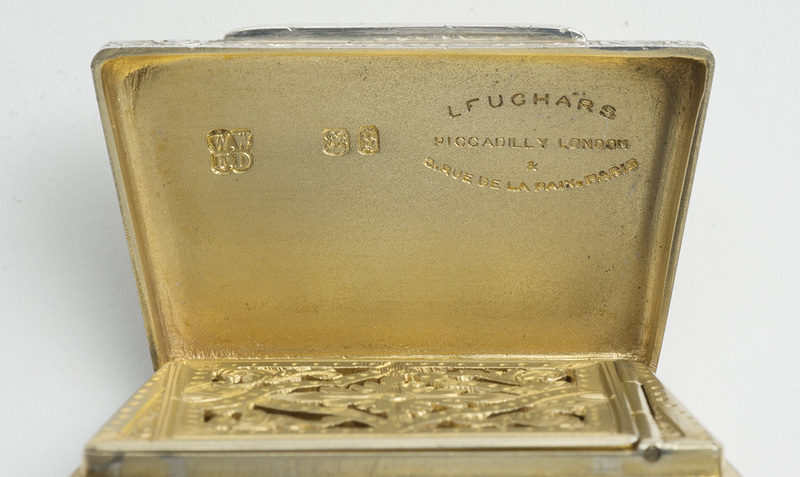 Send Enquiry for A group of silver pieces for a Victorian Ladies’ Necessaire. 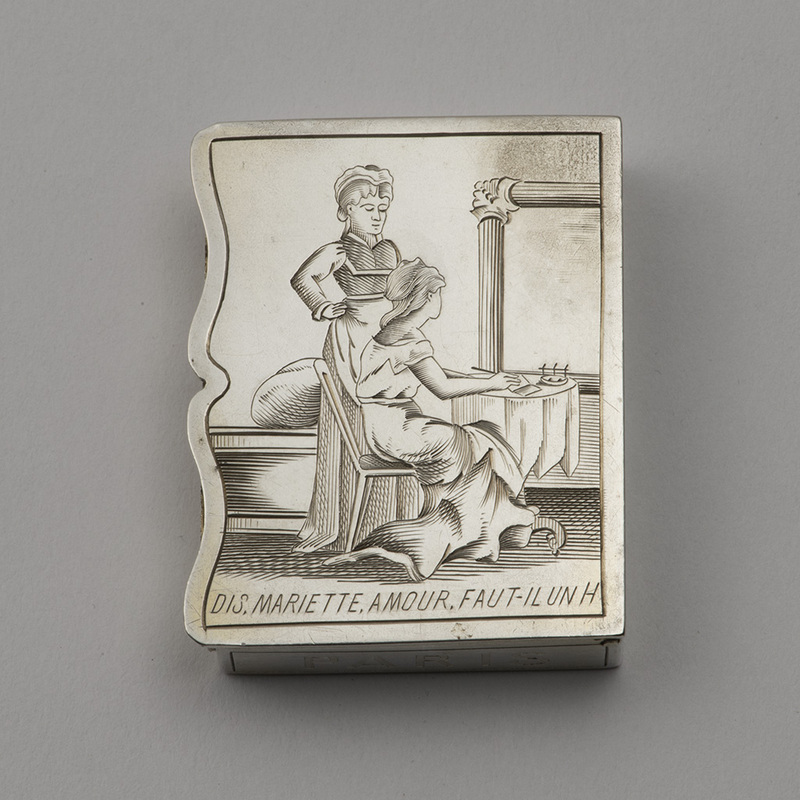 previous post: A curious silver-mounted Chestnut Box. 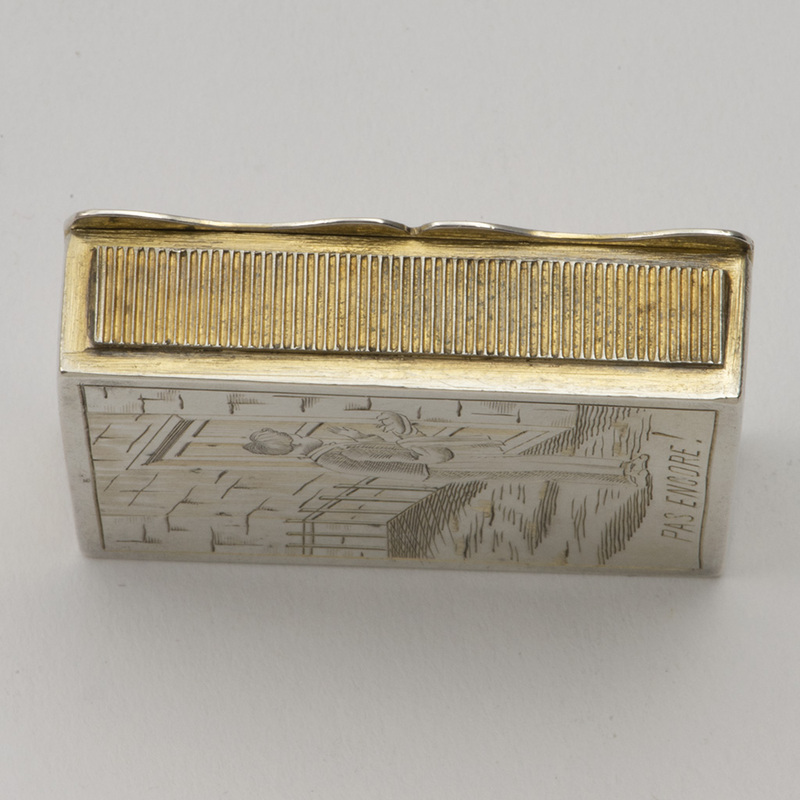 next post: A 20th century silver small Box.